Are you asking yourself “where can I find a dentist near me?” Checking your local area, reading online reviews, and making an in-person visit are helpful steps to take. A little bit of time spent researching your options can match you with the right dental professional. What is a Family Dentist and How Can You Find a Good One? Think of all the things you have in common with the members of your family: Your eye and hair color, your address and possibly even the bathroom. Sharing a family dentist can be convenient and beneficial for everyone. Read on to learn what a family dentist is and how seeing one could make taking care of your family’s smiles easier. Comments Off on What is a Family Dentist and How Can You Find a Good One? 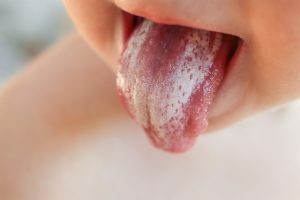 Why Do I Have Dry Mouth and How Can I Fix It? Do you know what xerostomia is? The average person may have never heard of this, but everyone has dealt with it in some form. It’s a fancy word for dry mouth. Everyone has put up with the inconvenience of having a dry mouth, but it turns into a problem when the dry feeling doesn’t subside. Your mouth will become dry when you don’t have enough saliva to keep it wet and moisturized. Keep reading to find out some of the causes of dry mouth and how it can be treated. 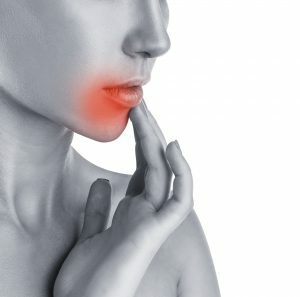 Comments Off on Why Do I Have Dry Mouth and How Can I Fix It? 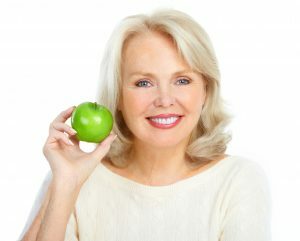 Why Should I Receive Porcelain Veneers in Summerlin? Do you ever hesitate to smile because of chips, cracks, gaps, or discoloration in your teeth? Many American adults (about 1/3 of the population) aren’t satisfied with the look of their grin. People avoid smiling all the time because of their teeth’s appearance. Flaws in your smile can affect confidence and self-esteem as well as how people perceive you. Porcelain veneers in Summerlin are a great option to transform your grin. Keep reading to learn what veneers are, and whether or not they’re a good cosmetic choice for you. Comments Off on Why Should I Receive Porcelain Veneers in Summerlin? Have you ever had extreme dryness in your mouth that made it hard to speak or carry out other natural functions? If so, then your mouth was vulnerable to increased bacteria growth. That’s because the harmful invaders love a very dry environment and flourish in it, but why? Your dentist weighs in to provide the answers you need to enjoy improved oral health. It’s a normal spring morning and as you arise to start your day, you notice white spots on your tongue. Unsure why they’re there, you need answers. Thankfully, your Summerlin dentist is weighing in to discuss some of the possible reasons for the spots and what preventive measures can be taken. There you are, it’s a Saturday afternoon and you’re enjoying a delicious lunch with your spouse. All of a sudden, as you take a bite of your sandwich… crack! At first, you’re not sure what just happened. But you do know that there’s a small piece of something that wasn’t there before and you can suddenly notice a sharp edge with your tongue. Now what? As alarming as it can be to have a cracked tooth, you’ll be glad to know that there are multiple treatment options that can restore your smile to its original function and appearance. But in the meantime, read more to find out what you should do when you crack a tooth and how it can be treated. Family traits are often a mixture of good and bad for all of us. Along with the color of your eyes and your quirky sense of humor, you may have also inherited a few things that you aren’t as happy about! If a “gummy” smile is one of those things, there’s a simple procedure called gum reshaping and contouring that can give you what your DNA didn’t: a smile you love. You may have assumed that nothing could be done about the size and shape of your gums, but thanks to modern dentistry the solution is easier than you might think! If you’d like to know more, keep reading as your dentist in Summerlin talks about who can benefit from this procedure and what you can expect.